Rigden Dental Dr. Kenneth Rigden, D.D.S. Dr. Kathleen Rigden D.M.D. At Rigden Dental, we want all our patients to have beautiful healthy smiles! From subtle changes to major repairs, Dr. Rigden can perform a variety of procedures to improve your smile. There are many techniques and options to treat teeth that are discolored, chipped, misshapen or missing. We can reshape your teeth, close spaces, restore worn short teeth, replace old discolored restoration and reposition you teeth. Common procedures include bleaching, bonding, crowns, veneers, recontouring and Invisalign.These improvements are not always just cosmetic, many of these treatments can improve your oral health. 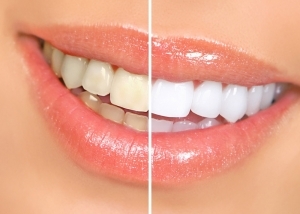 Ask Dr. Rigden how cosmetic dentistry can give you a natural, long-lasting beautiful smile!